Better monitoring is now provided at PVoutput.org - I am now using the excellent sma-bluetooth package running on Debian Linux to gather the data from the inverter and send it to pvoutput.org for logging and graphing. 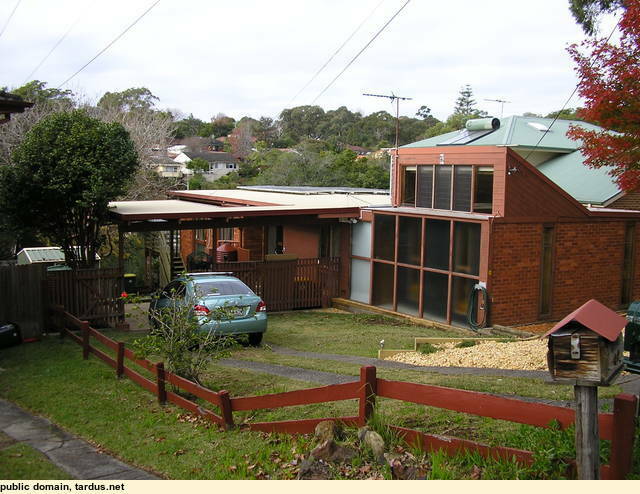 I've long been fascinated by the idea of having photo-voltaic panels on our roof so that we can generate our own power. The economics were not very attractive for along time. More soon, but we have been and gone and done it. 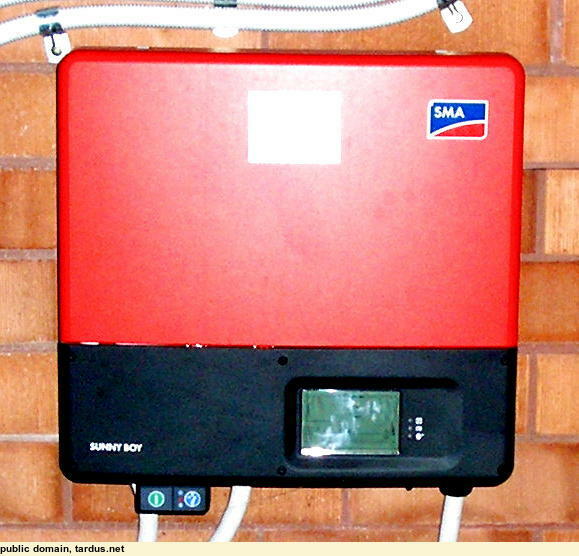 On order are 4 Kilowatts of SilexSolar panels and an SMA SunnyBoy 4000TL inverter. 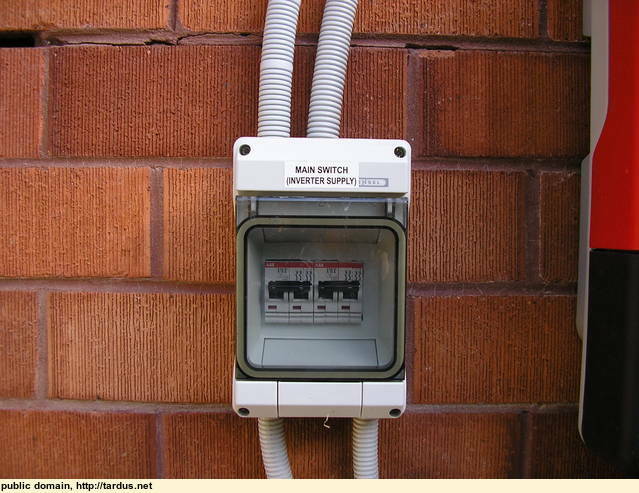 It should be connected to the grid within a week, and we can then start some green power and get paid for it - here in NSW, Australia, we have a gross feed in tariff, meaning we get 66 cents per Kwh. Rather lavish, and the state government has just reviewed it and is dropping the rate to about 22 cents. However, our application was in before the change took effect, so we will get a good return. Hopefully the Australian governments will be able to settle on some scheme that will encourage more solar PV installations, before we start running out of power. No one wants to invest in the big coal-fired power-stations anymore. 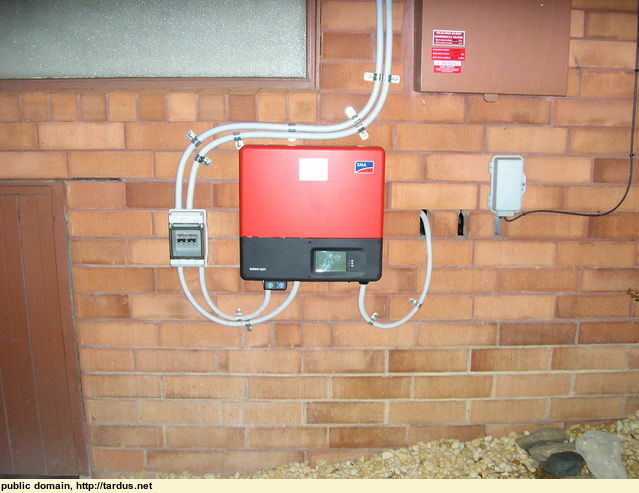 We have had the solar voltaic panels and inverter in and working since Dec. 3 2010. There are 24 x 170w Silex mono-crystalline panels on our flat roof, at the south eastern corner to minimise shading from trees to the north and west. if we had sloped them, the 3 rows of 8 panels would have had to be spaced out towards the north to avoid the panels shading the rows behind. This would have moved the northern most row into the winter shade area, so we would have lost out anyway. All up we have 4200 watts capacity. 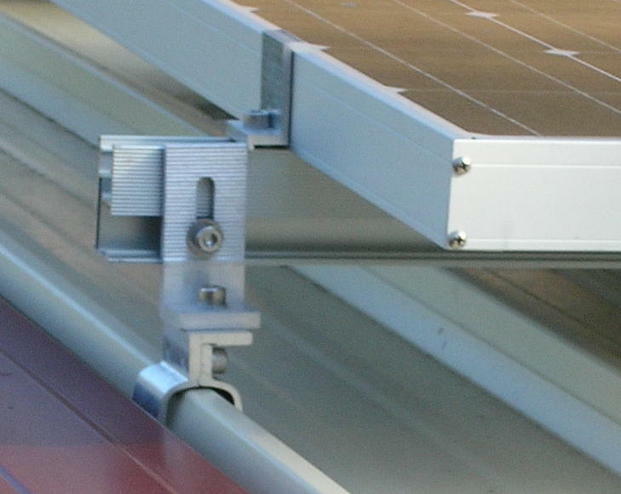 The panels mounting rails are attached to the roof, which is a steel deck with concealed fasteners, using special aluminium clips. 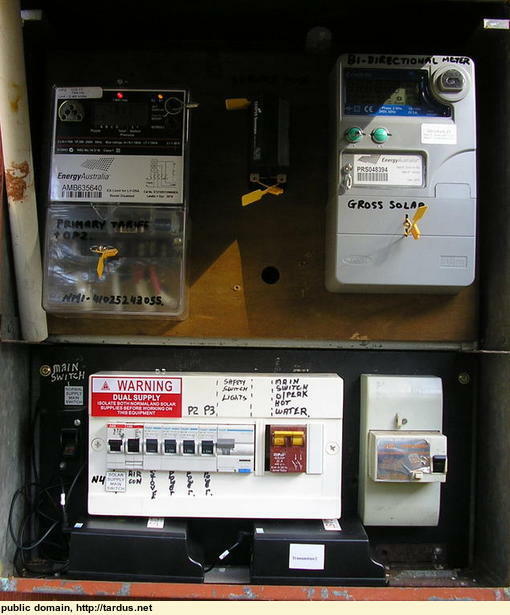 For interest sake, here are the old rotating disk meters (standard rate, and offpeak for the heat pump hot water system) These have since been replaced with an electronic smart meter which handles both standard and offpeak, leaving room for the new gross solar meter, which measures every kilowatt-hour we generate back to the grid. 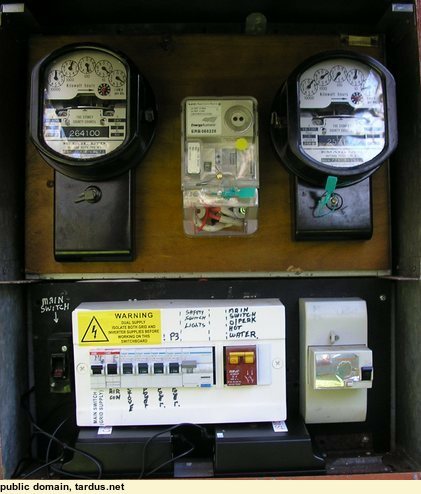 So far we have produced 2518 Kwh of electricity, in a bit under 6 months, so we have averaged about 400 a month. The stats page will soon show the daily and monthly amounts, as well as the instantaneous graphics plots already there.